Do you love this day or is it not your thing? Here are some cute pins that I found on Pinterest -- There are so many wonderful ones but these are my favorite. Join in on the pinning fun & join Michelle over at The Vintage Apple! 2 // These are 'Bucket's of Love' & I think they are so friggin adorable. You can fill them with candies & give them to friends! & they are so simple to make. 4 // I just think these are so pretty. Not sure what I would do with them -- but something crafty! 5 // Marsh-mellows dipped in chocolate & sprinkles. & I love how they used the M&M's to hold them up. 8 // how cute is this little Valentine's Day card to handout to classmates? So simple but so cute! In "link up", "pinteresting wednesday", "valentine's day"
you're the bomb & bucket's of love. are my favorite. 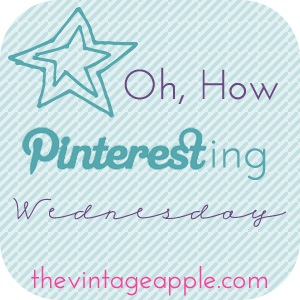 Join in on the pinning fun & join Michelle over at The Vintage Apple! In "collage", "link up", "pinteresting wednesday", "valentine's day"